23andMe gives you the opportunity to participate in research that could improve understanding of how genetics influences our lives. When you register your 23andMe kit, you choose whether or not to give consent to participate in research. You may review or update your research consent choice at any time from within your 23andMe account. 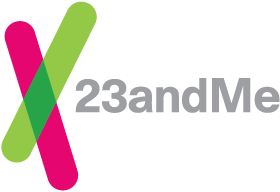 Important: For certain customers, local restrictions mean that participation in 23andMe Research is not available. Your name and contact information are not analysed in combination with your genetic and other personal information, and are not shared with external research partners. 23andMe will never release your individual-level data to any third party without asking for and receiving your explicit authorization to do so. For more details about research consent and privacy, you can review the complete consent document here. If you choose to opt out of research, any of your data that have already been entered into a study cannot be withdrawn, but your data will not be included in studies that start more than 30 days after you withdraw.